Owner of Palette Builders, Inc., Darin Kriebel, began his career in his teens working as a rough frame carpenter for Robertson Brothers and Pulte Homes. While attending Michigan State University, Darin worked as an Assistant Engineer for the construction management of the Jack Breslin Center and as a Leasing Administrator for the State of Michigan, Dept. of Management and Budget. After achieving his Bachelor of Science degree in Building Construction Management in 1992, he began his self employed career as a Deck Builder. Starting with traditional wood decks then to Trex’s intial public offering of composite materials in 1996. He designed and built thousands of decks within SE Michigan. Arranged the permit process with almost every single county and muncipality. Designed and Built “Model Home Centers” for national home builders suchs as Toll Brothers, Inc. and Ryan Homes. Applying todays Code and Saftey Standards in every installation, we are still going strong in 2018. Our current Trex Platinum review rating of 5.00 out of 18 marks the highest ranking within SE MI. This is what Darin calls “The Palette Process“. 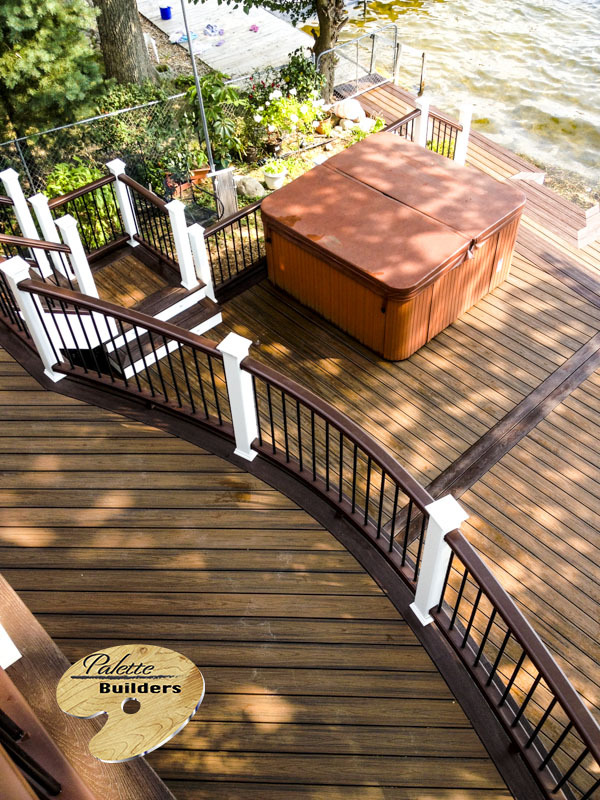 Darin has a unique, artistic approach in designing decks and remodeling projects, utilizing material product knowledge, elevations, grades, building codes, budgets, sizes and shapes, now including curves, and all sorts of similar decisions put together into a final package. He architecturally drafts all his projects for presentation, permit applications, and field construction drawings through CAD. He has the tools and equipment, licensing, liability and workers compensation insurance to guarantee a professional product. As a skilled tradesman for many Michigan and national home builders, he attends to the details of the construction project.